Trekking through the trails? Be sure your horse is wearing Trek boots. 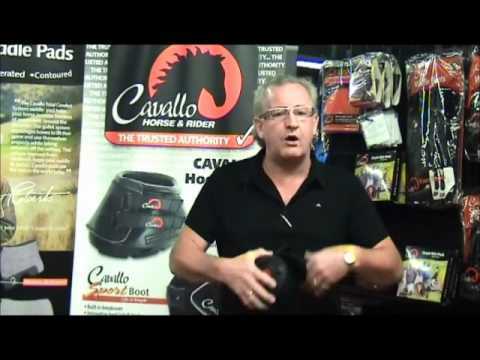 For the total comfort and protection of barefoot horses as an alternative to metal shoes, these hoof boots are lightweight, multi-purpose and all-terrain with a breathable Pro Mesh upper. They're also great for replacing a lost metal shoe, rehab, or odd-sized hooves, or senior horses. The Trek Regular tread pattern supports the hoof wall, offers great traction and minimizes pressure, while built-in sole relief takes pressure off the sole, bars, and frog. See measuring and sizing info at right. How do I measure for the right size of boot? BEST ANSWER: There is a clickable Measuring Guide to the right of the product description. Also, the most accurate way to measure the weight-bearing surface of the hoof is to trace around it, on non-corrugated cardboard, while the horse is standing on it. Measure both in inches and in millimeters.